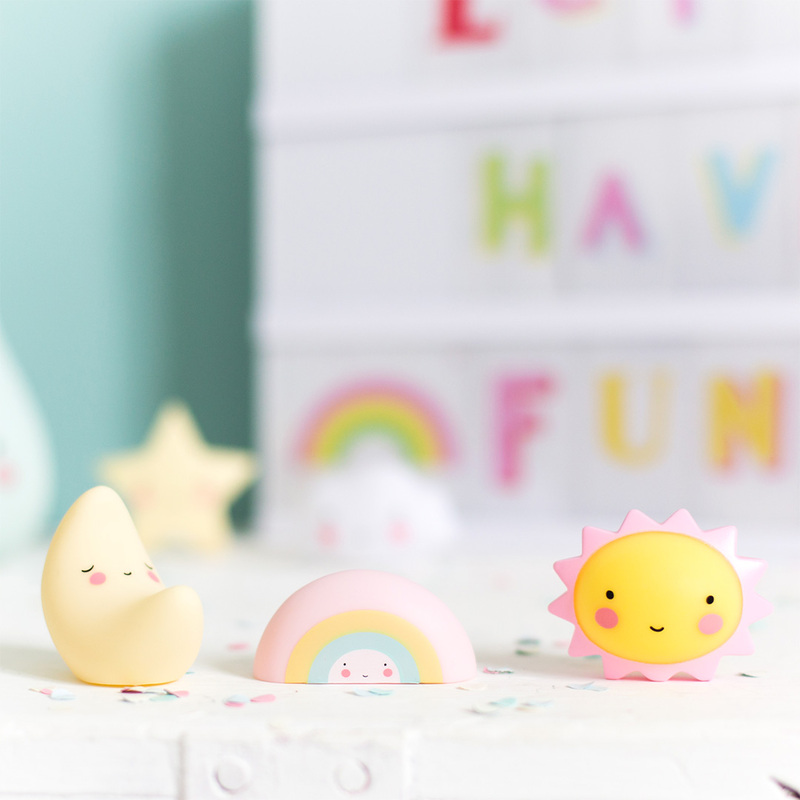 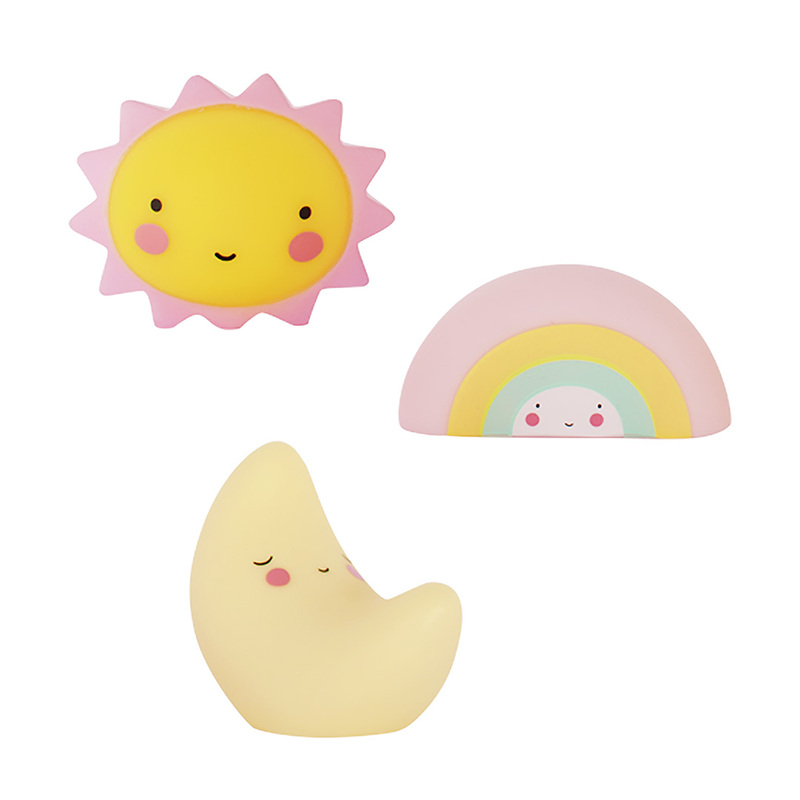 The cute Minis: Sun, Moon & Rainbow by A Little Lovely Company are great for playing and displaying in your little one’s room. 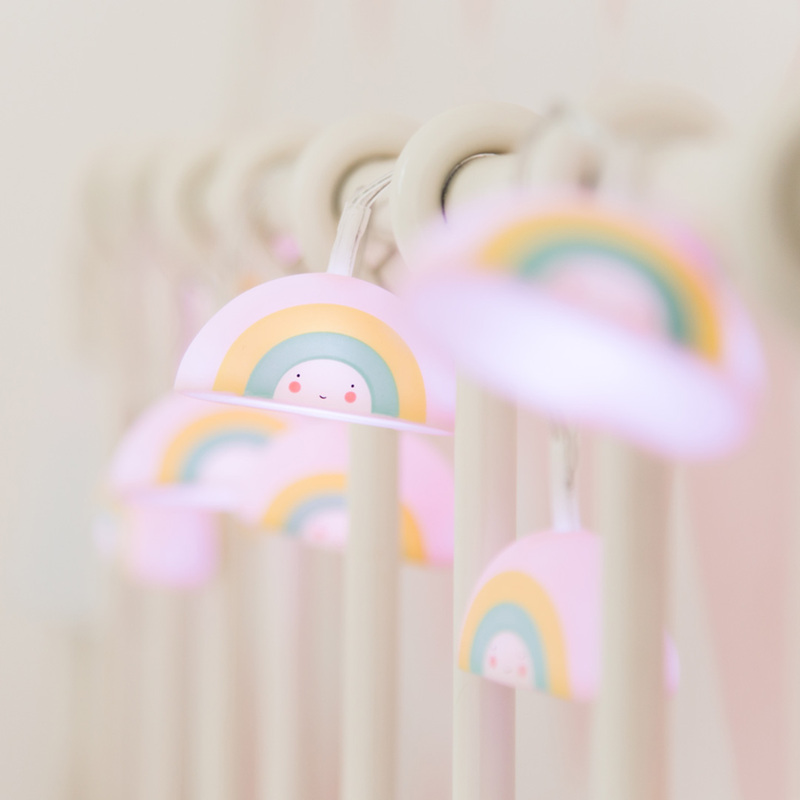 These are purely decorative items and do not contain lights, and should only be played with by kids older than 3 years. 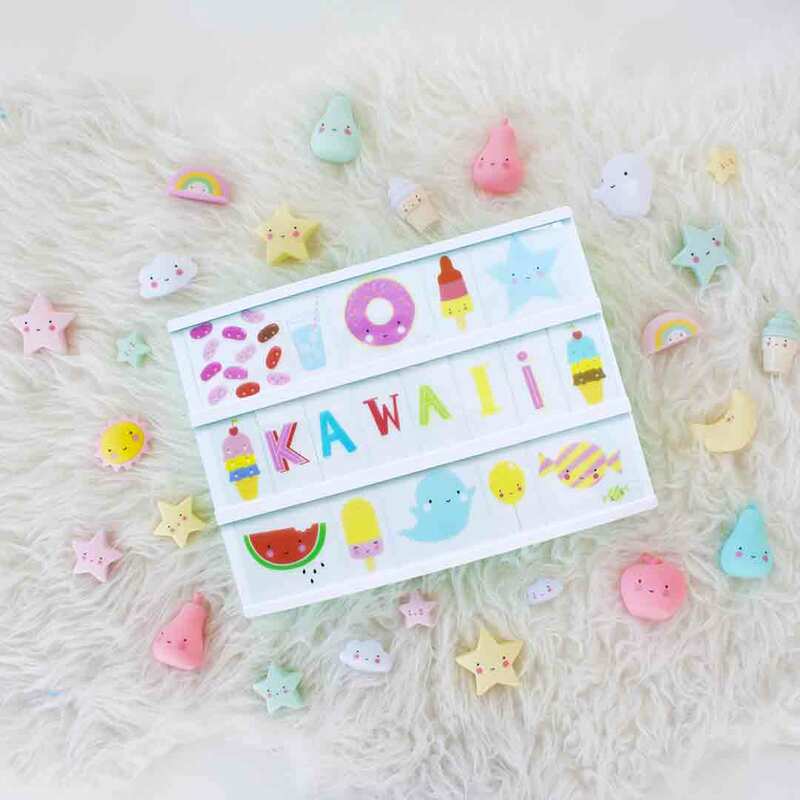 Complete your rainbow themed room with the rest of the adorable rainbow collection by A Little Lovely Company.